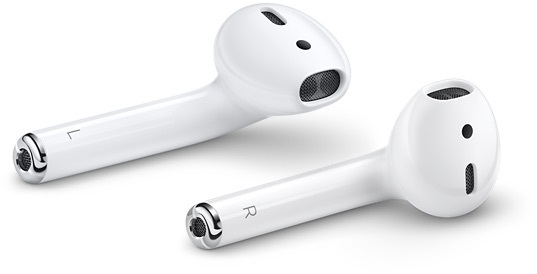 If you were planning to purchase AirPods as a last-minute holiday gift, it may be challenging to find a pair in time for Christmas. Apple's wireless earphones are currently estimated for delivery in early January if ordered today from Apple's online store in the United States, Australia, Canada, France, Germany, Italy, Spain, United Kingdom, and several other countries. AirPods are also currently out of stock at most of Apple's retail stores around the world, and at authorized resellers such as Best Buy, Macy's, Target, Walmart, and Verizon in the United States. Bottom line: they're hard to find anywhere. At $159, AirPods are a more affordable gift idea than many Apple products, which may be causing stronger demand than Apple can keep up with. If you are still hunting for AirPods, there may be one option. AT&T appears to have stock on its website, but you may have to pay an extra $14.95 for express delivery within 2-3 business days, and there is no guarantee they'll arrive before Christmas. Other gifts available by Christmas for under $200, and that an Apple fan is likely to appreciate, include the Apple TV 4K, BeatsX, an official Apple-branded iPhone case, Apple Watch bands, or simply an Apple Store or Apple Music gift card. Apple could obviously sell ice to a penguin. I already see them everyday in my commute to the city (big metro). These are becoming the new white headphones that iPods popularized. These are the best wireless earphones I have ever used. I am not surprised demand is off-the-charts this holiday season. Every Apple fan will want to own a pair and they make a great gift for anyone who doesn't own them yet. The more people that wear these, the less stupid I look wearing them. Still not understanding how they sell that well based on form facto alone. They’re hideous. Because nobody cares about the form factor, they care about the comfortability and convenience. It's the experience behind the AirPods with simplistic features, and for those who judge others based on what they wear for headphones, it just shows insecurity. If people keep on losing them, they have to buy again. Who ever lost an Airpod? Never heard a single case. Whenever I see someone wearing these I just think they look dorky. Just don’t really get the allure of them — just EarPods without wires and with the same mediocre sound. I picked up a pair of Studio 2s for a little more than the price of AirPods but they don’t look stupid and they sound amazing. You act like walking around with bulky pair of Beats don’t look ridiculous? Nice. I bought mine two weeks ago at BestBuy. Great purchase.